The anticipation of a beautiful new home coming to life is rising just a little over half a mile from the sands of Oak Island and only a 5 minute ride to the public boat ramp on NE 55th Street and Yacht Drive. The paved driveway will lead you to the front covered porch of this one level, open and airy layout home. 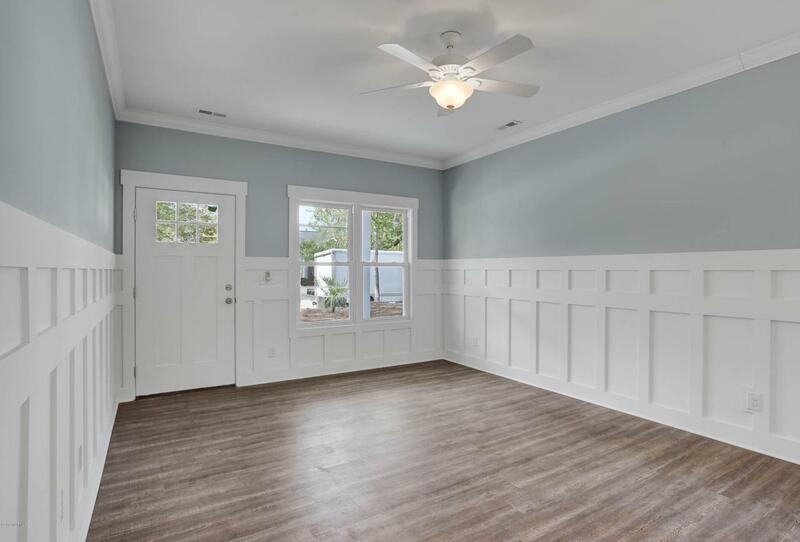 Beautiful beach friendly LV plank flooring will guide you throughout the entire home starting in the spacious living area open to the upgraded kitchen with a counter height peninsula perfect for bar seating separating the spaces. The custom soft close cabinetry wraps around the kitchen topped with lovely granite countertops...and featuring stainless steel appliances including smooth top stove/range, built in microwave, refrigerator as well as a garbage disposal. The dining room awaits just off the kitchen with access to the 3-season back porch making the space perfect for entertaining both in and outdoors. Down the hall the LV plank continue into the large owner's retreat offering a huge walk in closet and beautiful tiled walk in shower. 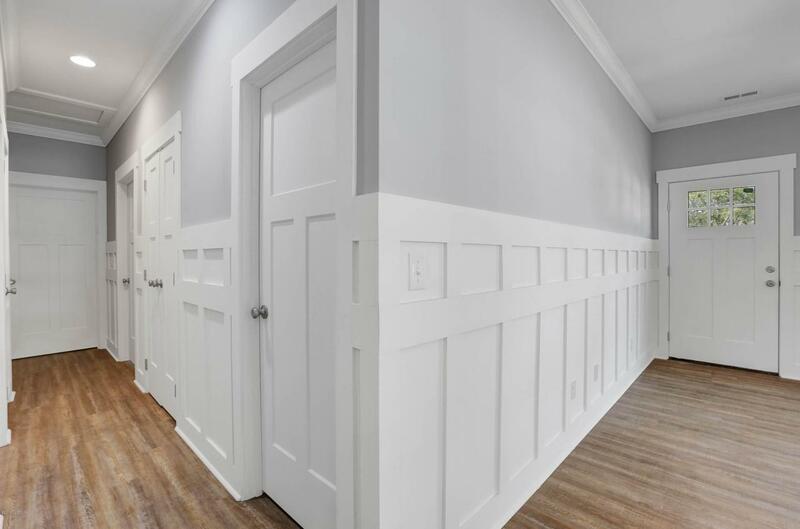 If you continue down the hall the laundry room provides plenty of storage and space for all those beach towels. Bedrooms two and three give your family and guests all the space they need to relax and enjoy their visit with large closets and a secondary bath. 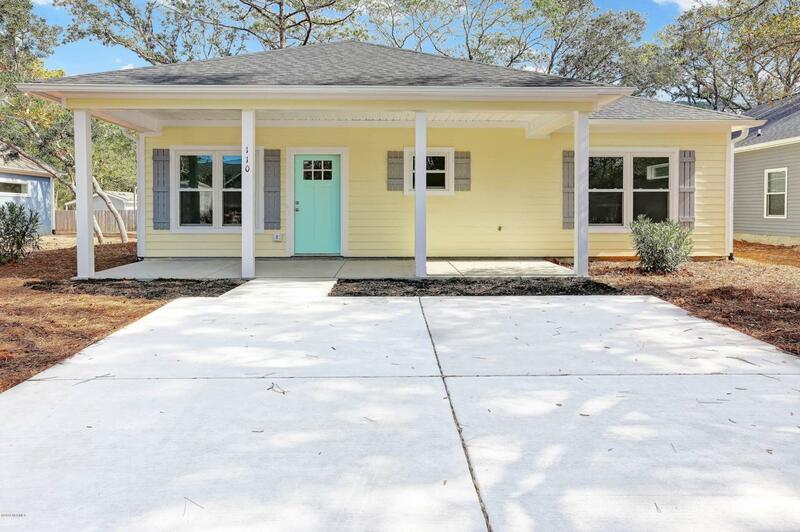 An 11 minute walk or 2 minute ride to the beach, less than a mile from Middleton Park, 5 minutes from the public boat launch, a 3 minute ride to the nearest grocery store, and only minutes from some of the best restaurants around are just a few of the characteristics that will make living in this brand new home so enjoyable. Listing provided courtesy of Lynn Gulledge of Soho Islands Real Estate Inc..